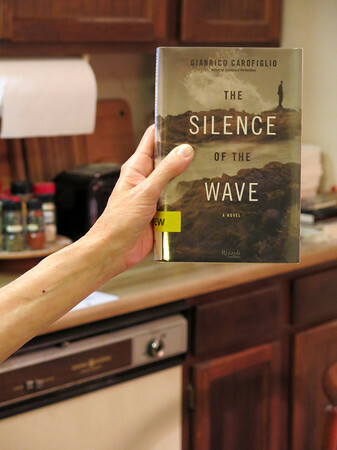 This is the third novel I’ve read by Gianrico Carofiglio. The experience has strengthened my conviction that he is a truly exceptional writer. 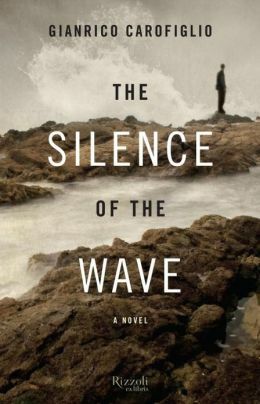 In The Silence of the Wave, which is primarily set in Rome, we meet Roberto Marias, formerly of the Carabinieri, Italy’s national military police. I say ‘formerly’ because when this story commences, he is on extended leave and does not know if he will ever return to the force. In the course of doing undercover work, Roberto has sustained a deeply traumatic psychic injury. As the novel opens, he is under the care of a psychiatrist. The bulk of the narrative consists of transcriptions of their therapeutic sessions. The result is that while the plot is rather inert, especially at the outset, the psychology is deep, and getting deeper all the time. There is a great deal of pain that must be suffered, anger that must be expressed, and self-disclosure that has to happen if the healing process is to be real and effective. It takes a while to find out just what the precipitating events were that so incapacitated Roberto in heart and mind. As the novel progressed, I began to feel more and more invested in Roberto’s treatment, and to wish, with increasing fervor, for his recovery. I love the way Giancarlo Carofiglio writes. Praise is also due to Howard Curtis, who translated this novel from the Italian. As I’ve been sitting here working on this post, with The Silence of the Wave reposing beside the keyboard, it has occurred to me that as well as loving the contents of this book, I take delight in its physical presence as well. It measures eight and a half inches by five, and is about an inch thick. It seems downright elegant in its compactness. 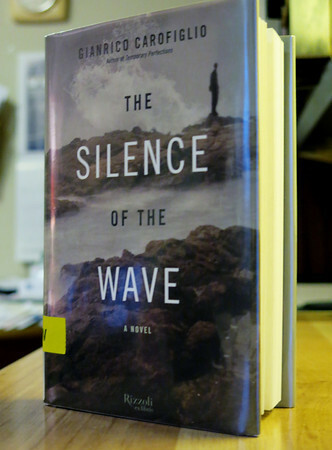 It’s a library book, and the mylar jacket cover enhances this effect. 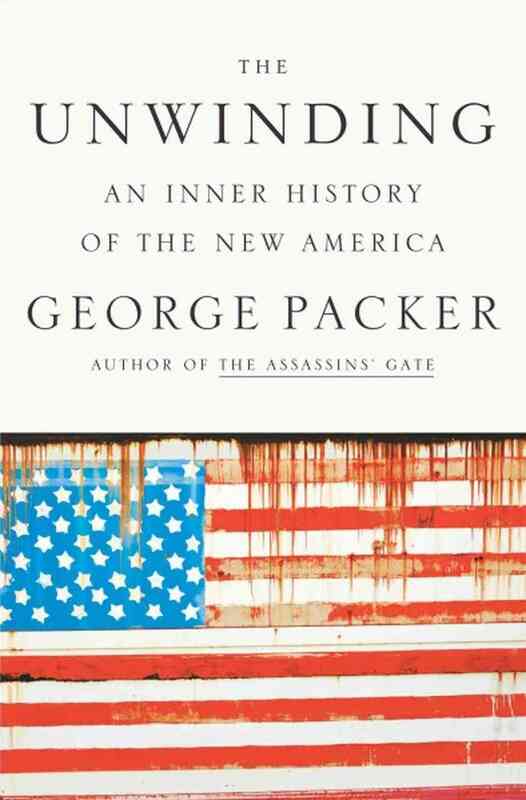 Finally the cover image seems appropriately muted and indistinct. I love handing this small volume and will be sorry to bid it farewell. In this space I have also posted a brief review of Temporary Perfections. This was the first book I read by Carofiglio and the fourth in the Guido Guerrrieri series. (On Stop! You’re Killing Me, this character is described as “a jaded defense lawyer.” Don’t let that deter you; for the most part he’s a delight to spend time with.) I’ve also read Involuntary Witness, the first novel in this series. I found this one rather slow going at the outset, but I ended by liking it quite a bit. Guido Guerrrieri lives and practices in Bari, a regional capital in the south of Italy. Bari is also Gianrico Carofiglio’s birthplace. Carol, my fellow Usual Suspect, has reminded me that there is currently a crime fiction series being written in which Josephine Tey figures as a continuing character. The author, Nicola Upson, has done extensive research on Tey and turned up some interesting material. There are currently five novels in Upson’s series, beginning in 2008 with An Expert in Murder. This year’s entry is The Death of Lucy Kyte. Carol has kindly provided me with several links, which I will pass along here. First, this is an essay posted on Upson’s website on the life and work of Josephine Tey. Second, here’s an interview with Nicola Upson conducted by a blogger who’s an historical fiction enthusiast. Have a look at Question 4, an inquiry into Upson’s research. First, she reveals the source of many of the names Tey gave to the characters in her novels. Even more intriguing is what follows her observation that “There’s no greater excitement than discovering something new about Josephine Tey’s life.” Steven Saylor, author of the Roma sub Rosa series featuring Gordianus the Finder, calls this “information ecstasy.” Anyone who’s ever had a momentous research breakthrough will know the feeling. Finally, in this interview with Amanda Vale, Upson reveals that she and her partner have had considerable success gleaning information about Tey’s life from the letters and diaries of those who knew her. There may, in fact, be enough to constitute a biography – finally! That’s truly cause for rejoicing. While preparing background material for a discussion of Brat Farrar with AAUW Readers, I found myself falling once again under the spell of the author. For Josephine Tey, possessor of not one but two pseudonyms, an almost phantom presence on the literary scene, author of eight superbly crafted crime novels, was herself something of an enigma. Of all the Women of Mystery, Elizabeth MacKintosh is the most deserving of the title. She never published under her own name, hiding her identity behind first the male pseudonym Gordon Daviot and then the pen name by which she is recognized today, Josephine Tey. She never submitted to press interviews, shunned all forms of personal publicity, and was guarded even with close colleagues. No one has yet collected her letters or edited her papers, if there are any around, and she never, so far as we know, chronicled her life beyond the most basic details. She left behind only the bare outline of a mystery whose clues must be extracted from her fiction. Elizabeth MacKintosh/Josephine Tey was born in Inverness, Scotland. The year of her birth has been disputed in the past, but it’s now generally accepted as being 1896. The eldest of three girls, she appears to have had a happy childhood. She attended Inverness Royal Academy and later, during the years of the First World War, traveled south to matriculate in the Anstey Physical Training College in Birmingham. She enjoyed athletics and was able to put this academic background to use as a teacher in secondary level schools. But all this time, ever since her girlhood, she had been writing, mainly short stories and poetry. Some of her early work was published in Scottish newspapers and in the English Review. 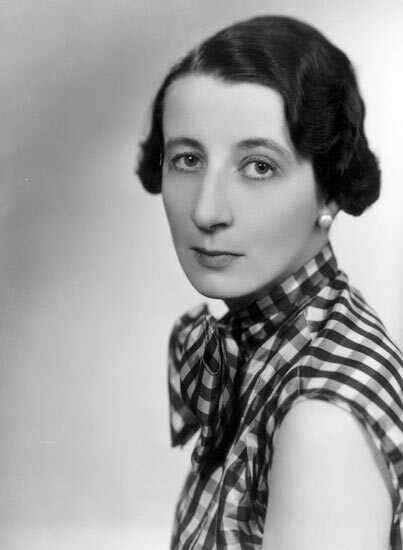 Using the pseudonym Gordon Daviot, Josephine Tey published her first crime novel in 1929. Written as a contest entry, it was called The Man in the Queue and featured Inspector Alan Grant of Scotland Yard. Tey also wrote plays, also under the name Gordon Daviot. The first and most memorable of these efforts was entitled Richard of Bordeaux. Premiering on stage in 1932, this drama about King Richard II provided John Gielgud with his first starring stage role. 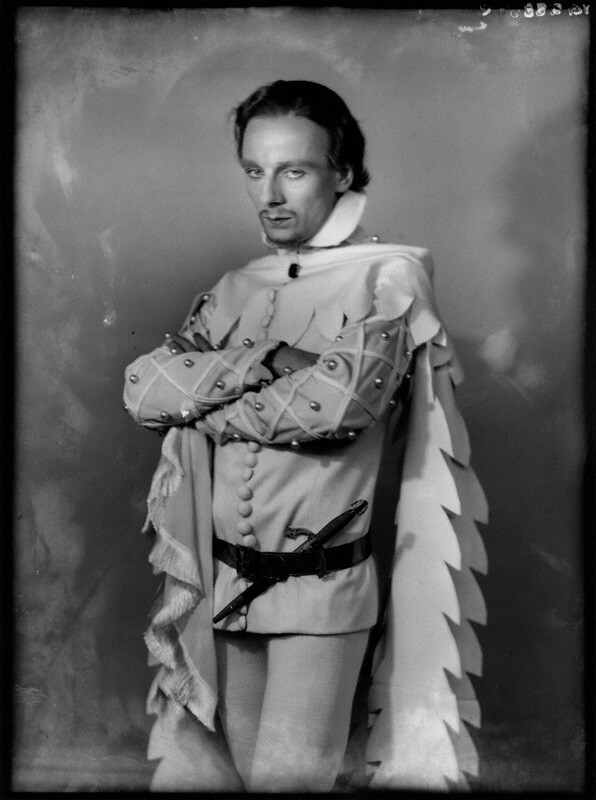 The play was a hit, thus launching Gielgud on what eventually became one of the most illustrious acting careers of the twentieth century. 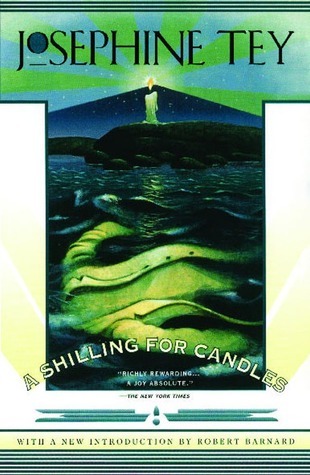 Meanwhile, under the name Josephine Tey, seven more novels of crime appeared, starting with A Shilling for Candles in 1937. Tey published nothing during the war years; then came more plays and the remaining six crime novels, starting with Miss Pym Disposes in 1946 and ending with The Singing Sands in 1952. Alan Grant appears in six of the eight novels, being entirely absent only in Brat Farrar and Miss Pym Disposes. At some point in late 1950 or early 1951, Tey learned that she was seriously ill. She kept her condition a secret from all but those closest to her. When she died in February of 1952, probably of cancer, many who knew her were shocked. Her memorial service was attended by Sir John Gielgud and Dame Edith Evans. At the time, the papers were full of news of the passing of King George VI, father of Queen Elizabeth II. He had died just days earlier. In his memoir, Sir John Gielgud hints that the playwright whom he esteemed and admired might have suffered a bereavement as a result of World War One. If so, then Tey was one of many women who suffered a similar loss. At the time of her death, Elizabeth MacKintosh, aka Gordon Daviot, aka Josephine Tey, was 55 years of age. She willed her entire estate to England’s National Trust. Since 1926, Josephine Tey had been keeping house for her father in Inverness, her mother having died a few years previous. Colin Mackintosh died in 1950 at the age of 86, predeceasing his gifted and intensely private daughter by a mere two years. Thursday’s discussion of Brat Farrar was both edifying and stimulating. I’ve now read this novel four times, and yet points were brought forth and questions raised that I’d not heretofore considered. How could the young Brat have traveled so freely during the war years? When exactly are the events of the novel supposed to have occurred? It was published in 1949, so one supposes the time frame to be postwar. Yet there is barely any mention of the seismic, six year long agony that had ended so recently. One reads of the bleak impoverishment of British life during this period, yet Latchetts (the country seat of the Ashby family) and its surroundings seem bathed in fruitful prosperity. (One thinks of the novels of Jane Austen, with their sense of the wider world kept almost completely at bay while their author examines the niceties of provincial country life.) Emma observed that Tey seemed to have deliberately evoked a timeless setting in which her characters could work out their respective fates. Rita was the most seriously critical of the novel, especially of the ending. Too much happened too quickly, she averred. Many of us agreed with her. We found ourselves having to thrash out some of the plot points, such as how Simon knew that Brat was going to try to descend that fatal cliff face where Patrick Ashby had met his end. We also tried to clarify the issue of the consanguinity of Brat and Eleanor. First cousins? Second? After all, the assumption is that they intend to marry; Eleanor declares her intention in no uncertain terms. Timber seemed as well acquainted with gates and their uses as a cow pony was with a rope, but never before had Brat had so delicate and so well-oiled a mechanism under him. Timber obeyed the slightest indication of hand or heel with a lack of questioning and a confidence that was new in Brat’s experience. Surprised and delighted Brat experimented with this new adaptability. And Timber, even with the turf in front of him, with the turf practically under his feet, moved sweetly and obediently under his hands. “You wonder!” said Brat softly. The ears flicked at him. “You perishing marvel,” he said, and closed his knees as he turned to face the down. Timber broke into a slow canter, headed for the clumps of gorse and juniper bushes that marked the skyline. So this was what riding a good English horse was like, he thought. This communion, this being one half of a whole. This effortlessness. This magic. The close, fine turf slipped by under them, and it was odd to see no little spurt of dust coming up as the shoes struck. England, England, England, said the shoes as they struck. A soft drum on the English turf. I don’t care, he thought, I don’t care. I’m a criminal, and a heel, but I’ve got what I wanted, and it’s worth it. By God, it’s worth it. If I died tomorrow, it’s worth it. Brat is soon to find out that Timber’s docility is a sometime thing. But how beautifully Tey conveys this moment of ecstatic communion between man and horse! I think that among those who were present at Thursday’s discussion, the general feeling was that although Brat Farrar has its flaws, these are far outweighed by the many qualities that make it shine. 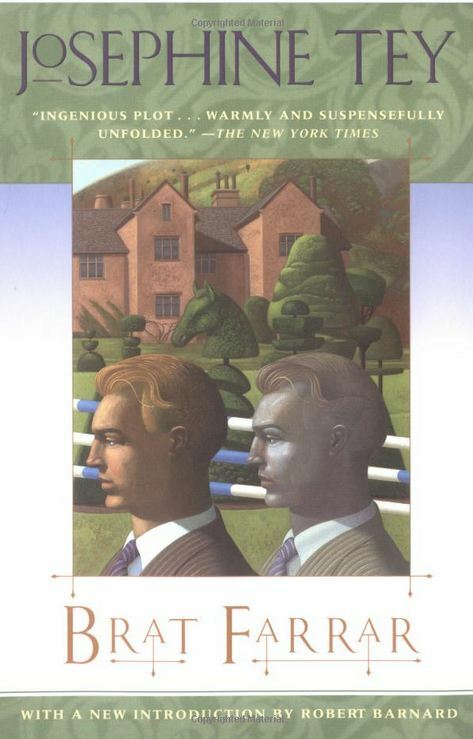 In his introduction to the Scribner paperback edition of 1997, Robert Barnard extolls “…Josephine Tey’s brilliant storytelling: her varied, loving characterisation; above all, her control of reader sympathies.” This last is especially evident in Brat Farrar, as the reader comes to share in Brat’s life and death struggle with his conscience, his obligations, his very soul. 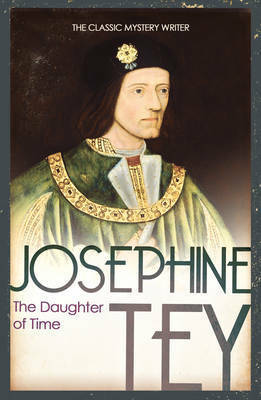 Somehow I’ve managed to do a fair amount of writing about Josephine Tey without mentioning the novel for which she is most famous. In The Daughter of Time, Alan Grant finds himself laid up in hospital with a broken leg. In desperate need of mental stimulus, he takes it upon himself to investigate the case against King Richard III, a man who’d been reviled for centuries as the murderer of the Princes in the Tower. They were the true heirs to the throne, and he is supposed to have done away with them so that he might be the sole unopposed ruler of England. I read The Daughter of Time many years ago. In fact, for a long time, it was the only work of detective fiction I’d ever read. (Hard to believe, I know! You can see, I’ve had lots of catching up to do.) In some quarters it’s considered to be Tey’s masterpiece. I really do need to reread it, but for now, in my view, that designation belongs either to Brat Farrar or The Franchise Affair – or to both, jointly. 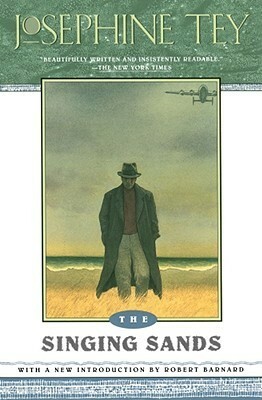 The only other crime novel I’ve read by Tey is the last one, The Singing Sands. Again, it’s not fresh in my mind, although I do recall enjoying the vividness of the Scottish setting. As it has finally occurred to me that some of the best exemplars of the British police procedural, my favorite genre, have been right under my nose for quite some time, I’ve just begun reading A Shilling for Candles and am already enjoying the lucid prose and engaging characters. The manuscript for The Singing Sands was found among Tey’s papers after her death, and was published posthumously. As far as I can determine, the best online source of information on Josephine Tey resides on a site called Josephine Tey – A Very Private Person. 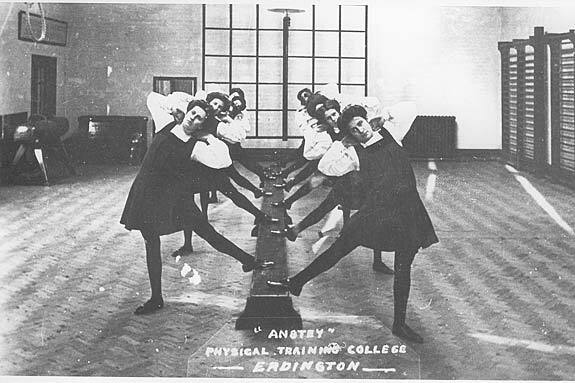 Not only is the biographical article quite enlightening, but if you work your way down the buttons on the left, you’ll find video of Brat Farrar, The Franchise Affair – two versions, no less – and some delightful photos like this one taken at the Anstey Physical Training College, Elizabeth MacKintosh’s alma mater. I’d forgotten that the urbane Vincent Price hosted Mystery! in the 1980s. 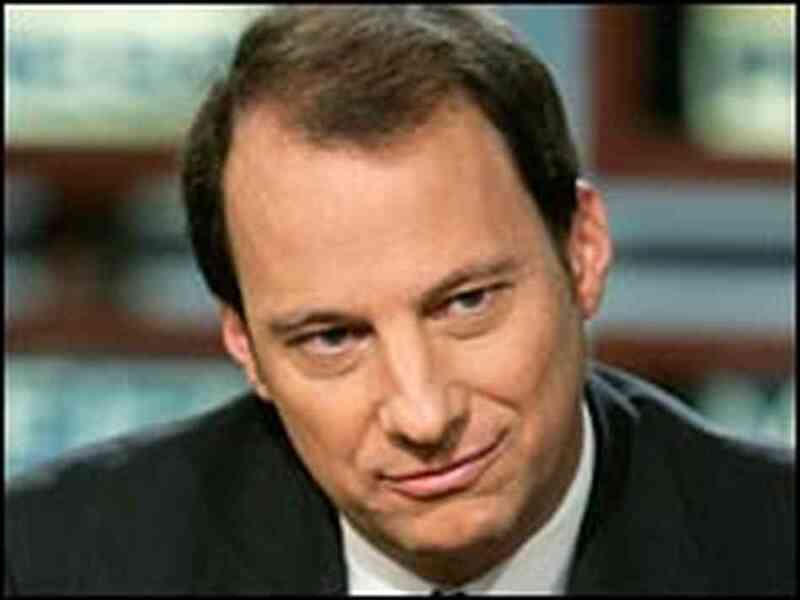 Click here to see him introduce a Josephine Tey segment to the television audience. I love the way he casually mentions the fact that he actually saw the original 1933 production of Richard of Bordeaux, starring John Gielgud! Finally, my heartfelt thanks go out to the seventeen or eighteen Readers – a great turnout! – for one of the most exhilarating book discussions I’ve ever been lucky enough to be part of. Please click here for additional information on Josephine Tey.